Lev IP Consulting- Rob G. Lev, J.D. Consumer Products -household devices, gadgets and games, auto accessories, sporting equipment, commercial and residential building applications, and teaching systems. Mr. Lev is an electrical engineer who practices his profession in a creative and productive manner. As an engineer in private industry, Mr. Lev participated in the development and marketing of new electrical power switching equipment. Mr. Lev also developed bids for multi-tiered electrical power systems. As a patent examiner in the U.S. Patent and Trademark Office, Mr. Lev worked with applications directed to mobile and cellular telephones, paging systems, audio transducers, electronic banking systems, pay telephone systems, credit card systems, and television camera design. 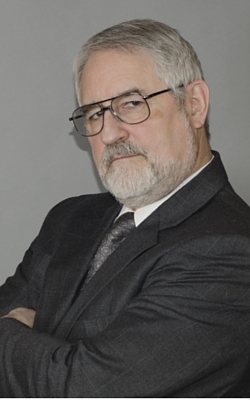 As a patent attorney, Mr. Lev serves inventors in additional fields of technology, such as semiconductor design, operations and manufacture, advanced intelligent telephone networks, holography, laser operation, and computer control of various industrial processes. He has been successful in satisfying a wide range of clients such as Bell Atlantic, Mitsubishi, the National Institute of Standards and Technology, and NIH. In his spare time, Mr. Lev contributes to his community by his active participation in community service organizations. Click here for Atty. Lev's Professional Profile.